Taylor Lewis has an incredible tale of bipolar despair, of recovery, of faith and of song. 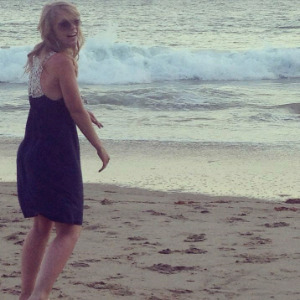 Taylor Lewis is a very brave twenty-something young woman from Orange County, CA. For much of her young life, the gentle and affable Lewis has struggled with depression and bipolar disorder. Her condition led to many battles with suicidal thoughts and extreme social anxiety. Her story of recovery did not happen overnight. She credits her recovery to seven years of "baby steps," many which included despair healed only by late night songwriting. After seven years, she finally found the physical help, through medical science, and the emotional wisdom, through her faith in God, to heal. Taylor's faith has manifested in the deeds of songwriting and missionary work. Taylor Lewis–we salute your courage, your musical talent, and your passionate faith. We also salute a spirit, that no doubt, was put on this planet to show that love is born of recovery and grows as we sacrifice for others in the pursuit of mental health justice. Newer PostSarah Silverman on why it is not so funny to be depressed. Older PostAt five, her mental illness story started. She was already a victim of sexual abuse.